Liberty’s new Send Mail “feature” does not work unless you install and/or configure additional software. This means when you click the new Send Mail button, you will not be able to send email until you configure additional software – e.g. 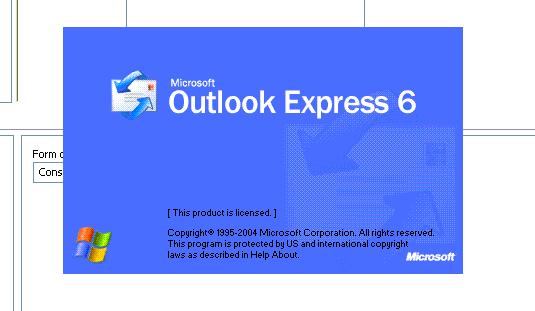 Outlook Express, Outlook, Thunderbird, Window Live Mail, etc. For years, Liberty has had the ability to send emails on its own, utilizing its own built-in code and libraries. In fact, many of you will remember the paid upgrade from Liberty 2002 to Liberty4 Consignment, which introduced email functionality. So why has the email functionality that has been in Liberty for years, been left out of this new “feature”? When a program such as Liberty goes to send email, it can do so in one of a few ways. It can take the “easy” way out (which makes it easy for the software, but difficult for the user) and not add any email functionality at all. This is done by asking Windows to send email through whichever 3rd party software is currently installed and configured as the Default Email Program. The other option, is to put in a little more work ahead of time so that your users don’t have to run into issues come time to use said feature. The latter is what Liberty4 Consignment 4.0b utilizes. They’ve simply given you a shortcut to launch email software, which you may or may not have on your computer. 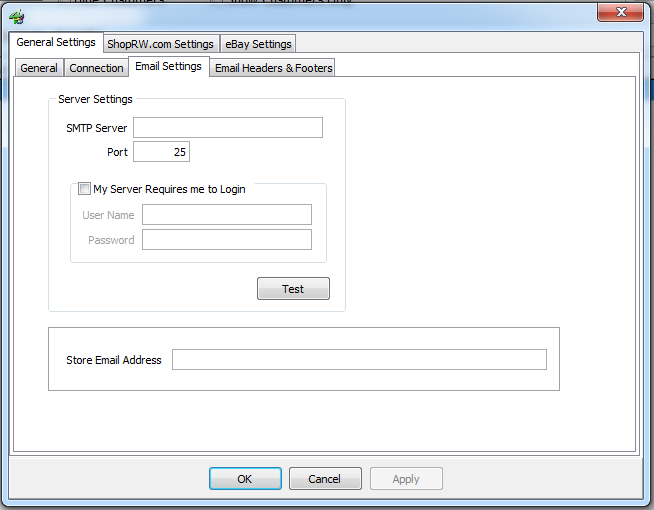 These settings tie-in to other portions of Liberty which can send emails – e.g. the Event Manager, the Word Processor (wordmail), etc. So why isn’t that functionality being used here? Why does Liberty now require its users to install + configure 3rd party software just to send an email? This just makes it difficult on you vs. having the software do the work for you. Do you know what default email client is on your computer? Do you even have a default email client on your computer? Liberty requires you to know the answers to those questions. Many people do NOT have default email clients on their computer, because they check their email in their web browser – e.g. 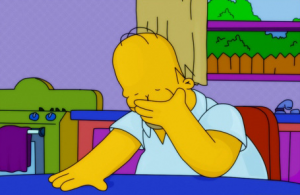 Gmail, Yahoo!, MSN, AOL, etc. We actually recommend not using an email client on your computer, because it creates a dependency and a support issue for you, which translates into a cost. 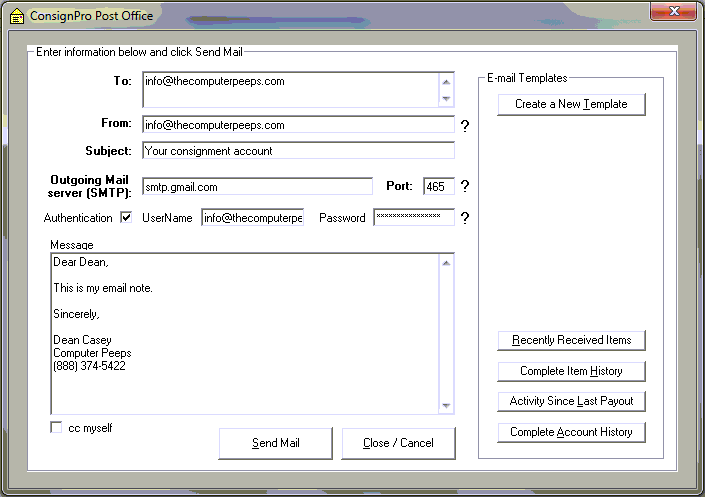 Programs such as Outlook, Outlook Express, Thunderbird, etc. have to be installed and/or configured. Ok, which settings go where? What if you move to a different computer? Are you going to download and install software on that computer now? What happens when that system crashes? Are you telling me you can’t use email until you get your computer setup and then get your email software reinstalled? What about backups? Have you been backing-up your email files? See where this is going? Liberty already has multiple areas where it can send emails and it’s been able to do so since 2004. Why in this new paid upgrade, does it not utilize the features it already has? Why put the workload on the person attempting to use the feature? That’s exactly what this is doing – it’s making the user do the work, not the software. The reason I point this out is because it creates a support issue for Liberty users. When Anita Johnson @ Upscale Fashions, Inc. asked me to configure Outlook Express so that Liberty could send emails, I was quite surprised. The button there now is the “quick way” to get that feature in there, but it puts all the work on you, the user. 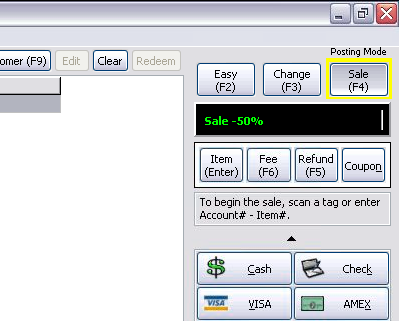 What do stores do if they want to use this feature? Do they have to call their tech? Why can’t Liberty just send the email on its own? For the benefit of the end users, I really think Liberty should handle sending emails without relying on the Windows default email client. This is the core program in a suite of programs that comprise Liberty4 Consignment. There are other programs that are part of this suite – e.g. 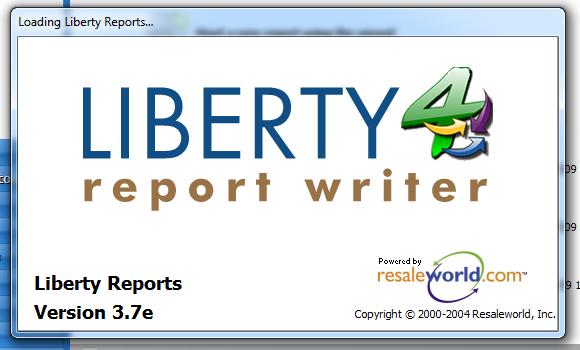 Liberty POS (RWPOS.exe), Liberty Report Writer (RWReport4.exe), etc. Each of these portions of Liberty are separate programs. As new updates are released, each and every module won’t necessarily receive an update. Typically Liberty Inventory and Liberty POS will receive updates and you’ll see their version numbers are commonly the same. The Report Writer tends to not receive updates as often as the other modules though. Just because the module numbers are different, doesn’t mean the program hasn’t been properly updated. Make sure not to confuse this with different program versions when running Liberty in a network environment. A separate issue altogether is running a different version of Liberty on the database server as compared to any/all of the network workstations. If you’re uncertain as to which version of Liberty you’re running or if you think there are any issues with the version numbers on your system, you can contact The Computer Peeps for a free checkup. 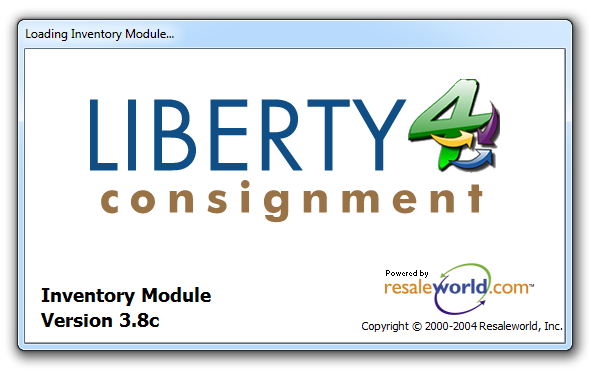 You can contact Resaleworld Support directly via [email protected] if you have any questions as to which version of Liberty is currently available to you. From time to time, you might need to discount an item – e.g. a friend that helped you out with your new store opening – but you don’t want the discount to impact the consignor. This isn’t a general sale or something that’s part of your consignor agreement. It’s a friendly discount, so you want the store to eat the loss, so to speak. The result is, no matter what you discount the price by, the consignor’s net will be based on the original price. Use the Calculate Net on Original Price option carefully. The majority of the time, you do not want to do this. 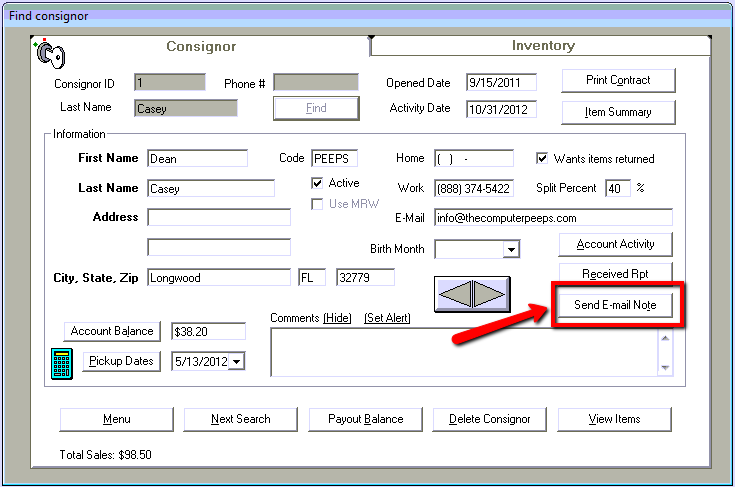 Normal sales are typically part of the consignor agreement, so as the item’s price is discounted, the consignor’s net due is as well.